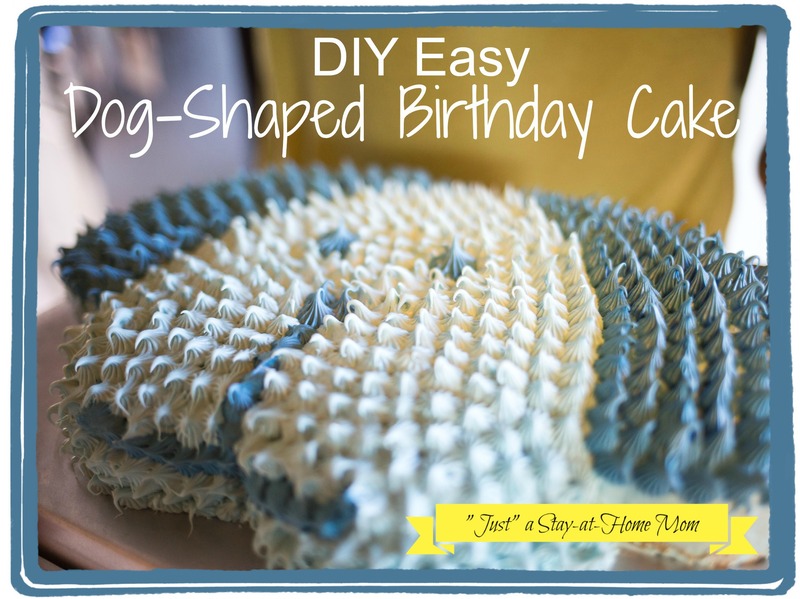 This cake can take as little as 5 minutes to decorate! I am always on the lookout for ideas that are cute and EASY. Easy is definitely the key word here. 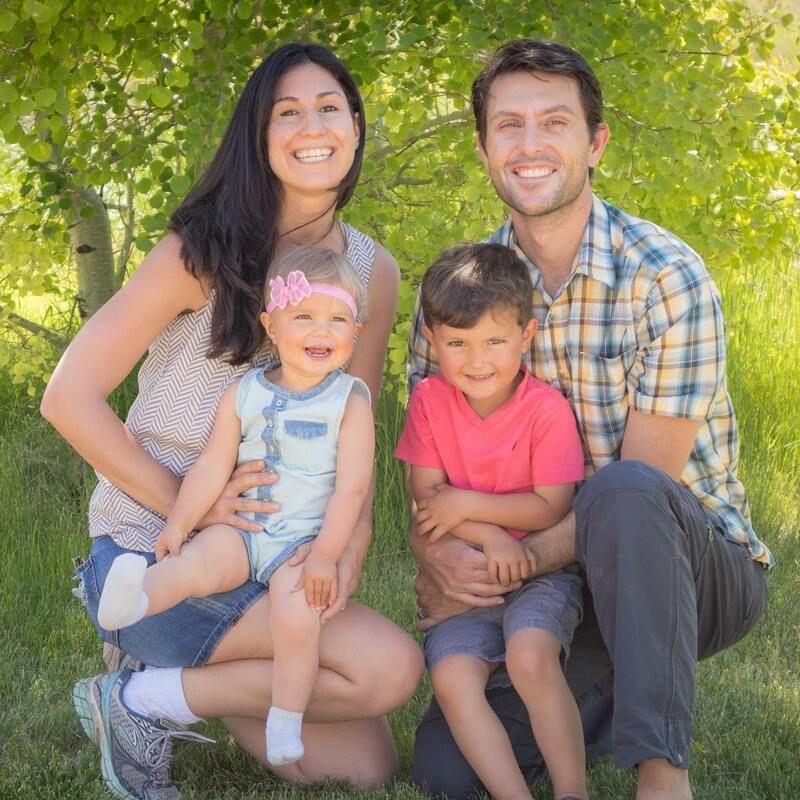 Even with only 1 kid (I know some of you are juggling 2, 3 or more! ), I don’t want to spend any more time than I have to on toys, cards, or even birthdays. BUT, I do want those things to be as nice and special as possible. 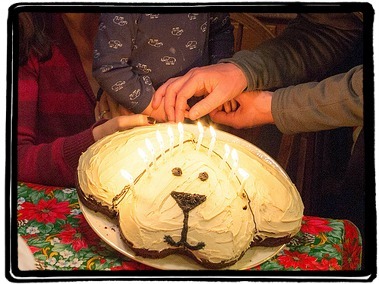 So, I was so excited when I found this great Dog-shaped Birthday Cake idea on Pinterest from The Experimental Home. (*Sidenote, you can follow my Pinterest Page here). 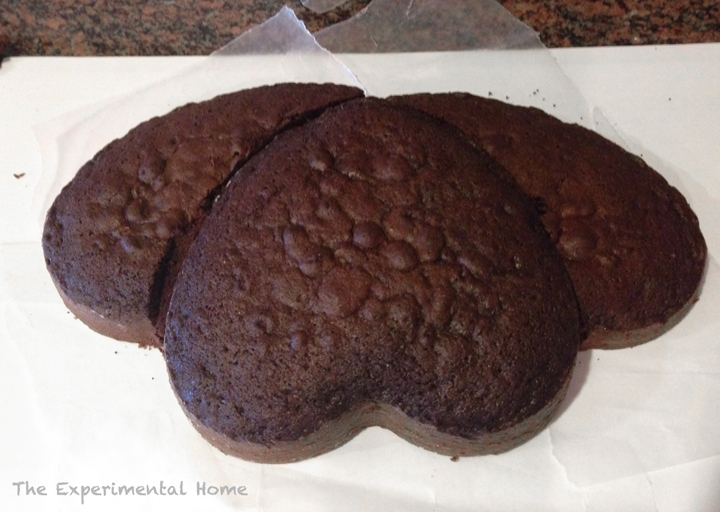 Step 1: Cook your cake in 2 heart-shaped pans. Then cut one cake in half, in order to make the ears. Step 2: Freeze to get the cake solid (and to help it not crumble when you frost). 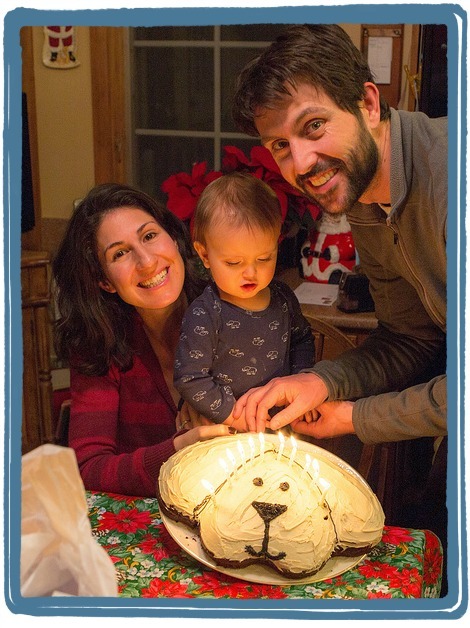 My good friends made this wonderful version of the cake for their son’s 1st Birthday. 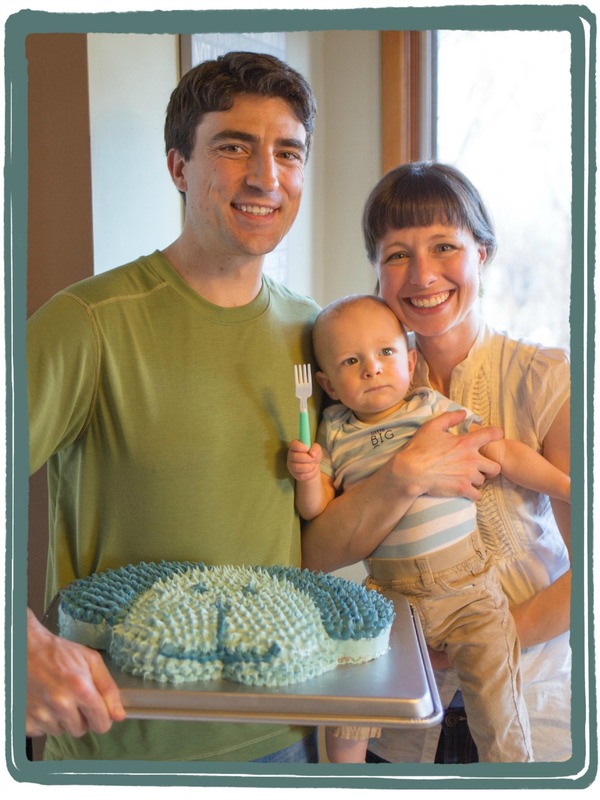 By using small dots, it makes a beautiful cake! *But it definitely took more than 5 minutes. I went a little simpler on my version, but still think it turned out great. I used a plain white frosting, and mixed in some food coloring to give it a grey color. Then, we used some black decorating gel to divide the ears from the face, and for the eyes, mouth and nose.